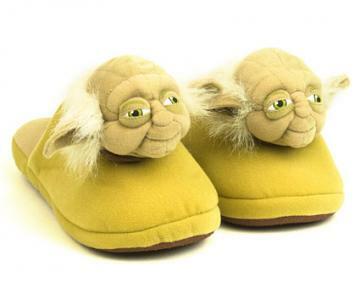 Look, down at your feet! 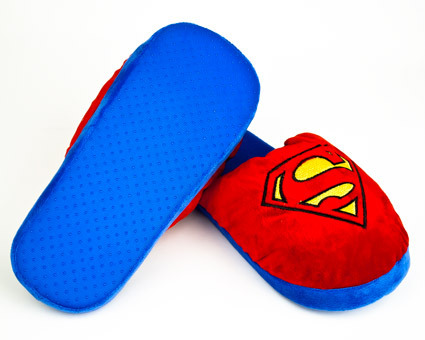 It's a bird, it's a plane, it's your very own pair of Superman slippers! 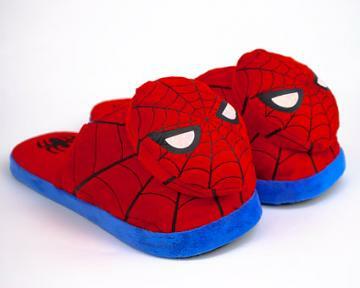 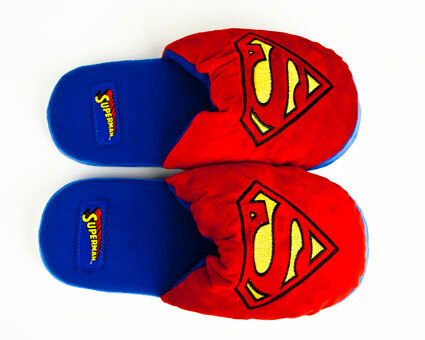 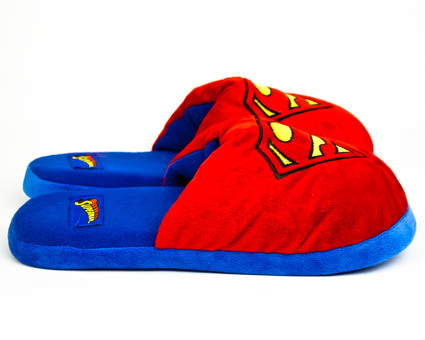 These red and blue slippers feature the bold Superman 'S' shield logo. 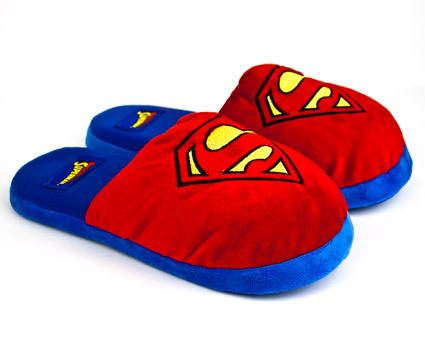 Even on the chilliest mornings, slipping these ultra plush Superman slippers on your feet will make you feel like the Man of Steel himself.